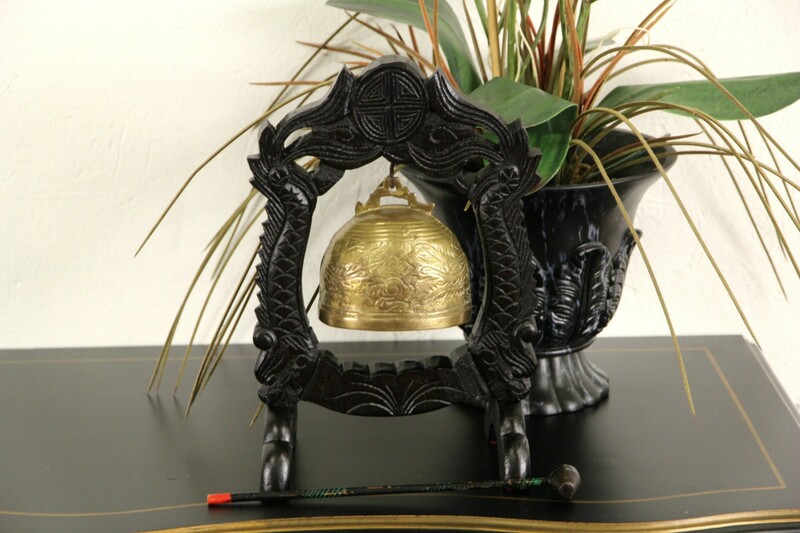 A Chinese cast brass embossed dinner bell or gong from the early 1900's includes a hand carved stand and mallet. It rings with a rich, deep tone. The dark finish is in excellent condition on the detailed hardwood stand. Overall size of this antique Asian set is 9" wide, 5" deep and 12" tall. USPS Shipping is $30 in the US.